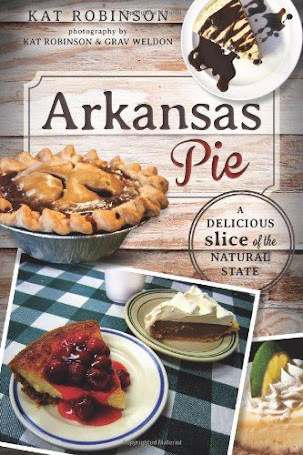 Arkansas is blessed with so many options for every meal of the day -- but when it comes to a favorite breakfast pastry, things can get heated. 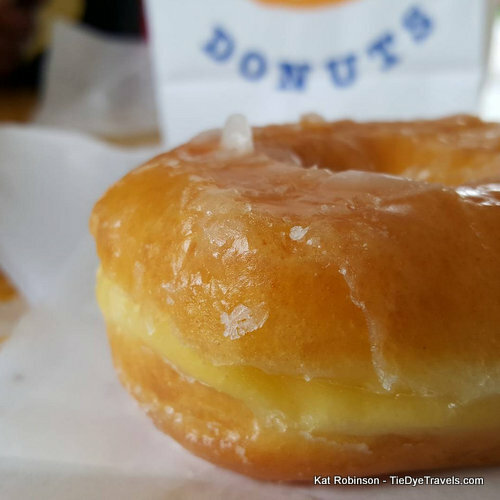 Here's a rundown of the best places I've found for doughnuts in the state. And to make it as fair as possible, they're listed in alphabetical order. *Note: To clear up the field, I did not include chain operations such as Shipley's, Daylight Donuts or the like. There are so many of these, it's hard to properly judge them along with the rest. Batten's Bakery (Paragould). Yes, I have gone on about the old fashioned fried pies -- but in all fairness, Batten's is primarily a doughnut shop with extras thrown in. The slightly oversized rings, fills, long johns and fried cinnamon rolls (you read that right) are served up alongside breakfast offerings in the morning and cakes all day. Plus, there's a drive-thru, though it's usually busy. Fortunately, the large parking lot means you can find a spot and walk on in. 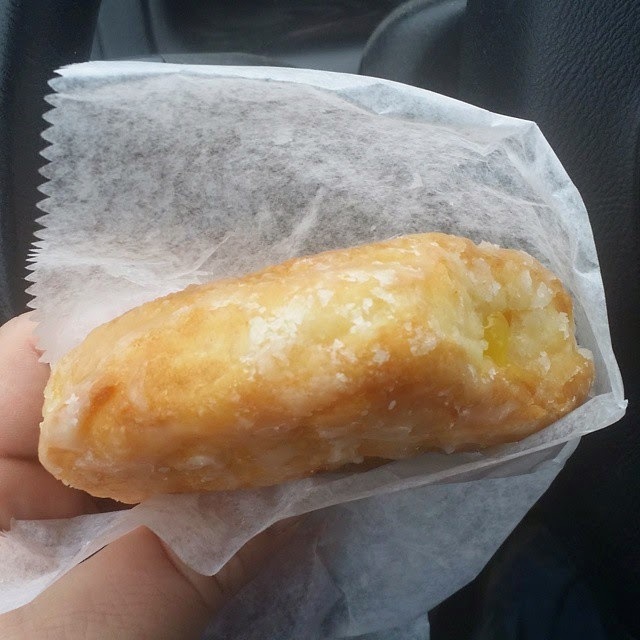 Bradley's Donuts (Farmington). The cake doughnut is the thing here -- very moist, very crumbly, very good. However, local fans tend to order the chocolate covered doughnuts and chocolate covered holes -- thanks to a marvelously good chocolate glaze. Open since 2003. Community Bakery (Little Rock). Known for sandwich lunches and wedding cakes, it's easy to overlook Community Bakery's contribution to the doughnut scene. 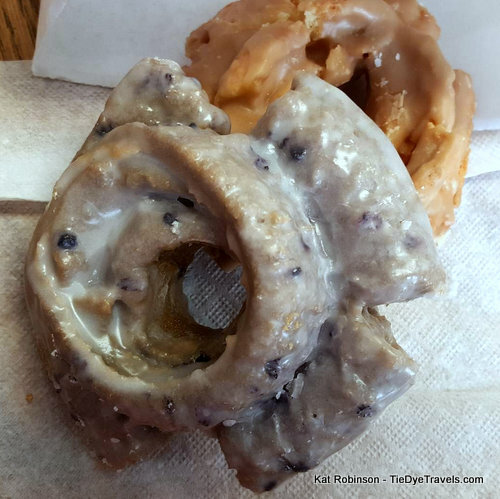 Glazed options are all right -- but the sour cream cake doughnuts are an amazing marvel, with or without a light powdered-sugar-heavy chocolate glaze. The real unheralded specialty, though, is an orange zest fill that's worthy of a fine pastry pedestal. Country Village Oven (Star City). You either know about Country Village, or you don't. For those who haven't made the trek out to the hinterlands south of Star City, you are missing a real treat. 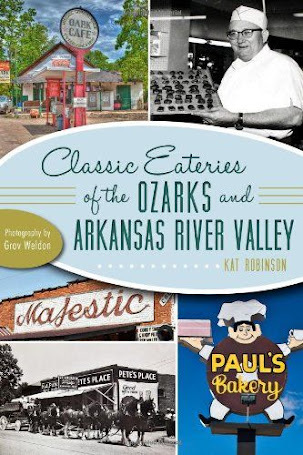 Along with a barbecue joint, a catfish restaurant and several eclectic stores (including a taxidermist) you'll find this bakery -- oversized and packed with pickles and pies, breads and cookies. 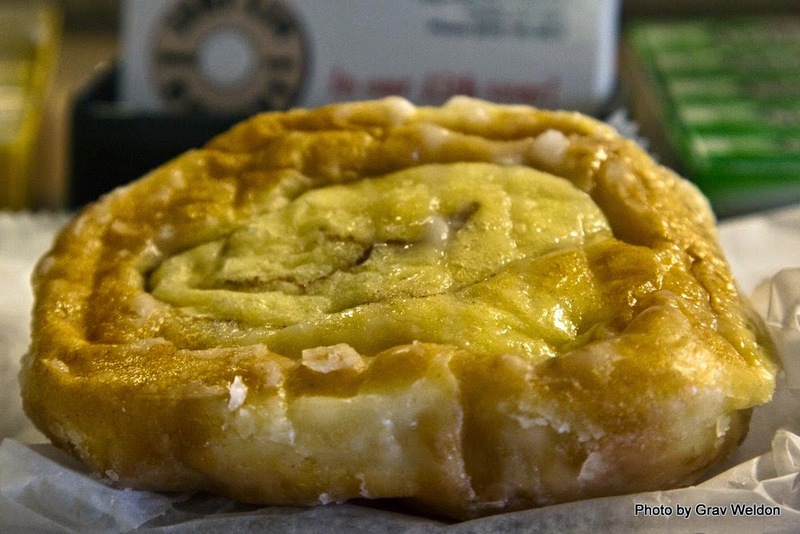 The doughnuts here have a slight buttery flavor to them, and they are marvelous -- also consider picking up a fried pie. 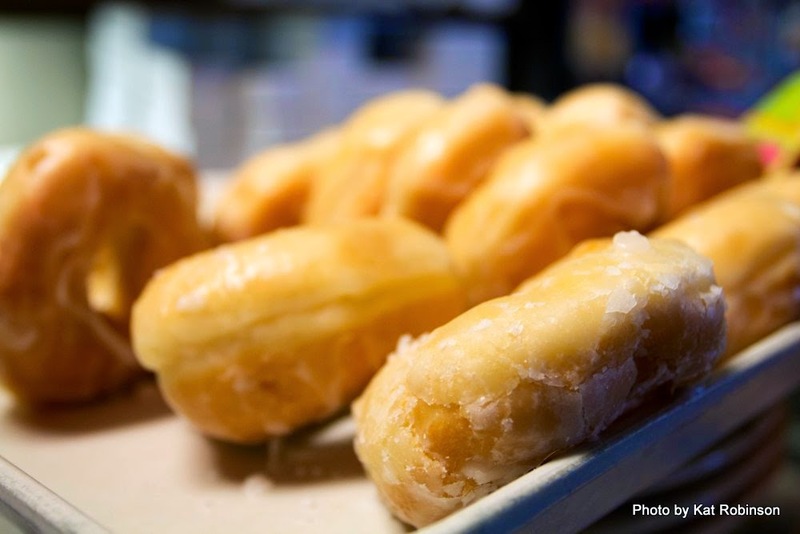 They have the flavor of a doughnut-based crust. Dale's Donuts (Benton). The very first doughnut shop I can remember was the one within this diminutive brown building alongside Military Road in Benton... I might have been three at the time, but I remember being taken on Saturday mornings and given a half dozen doughnut holes and a cup with a little coffee in it to dip them into. To this day, this building's residents still put out some of the most amazing fried and crispy doughnuts I've ever had. Some rave about the strawberry doughnuts, but I prefer blueberry or just another bag of those great holes. Marvelous. Donut Hole / Jimmy's Family Restaurant (Malvern).Two restaurants sharing the same space (Jimmy's does fried chicken in the evening) and the best (and perhaps only) place to get a good doughnut in Malvern. Something about the fry grease elevates the Donut Hole's pastries to something new. Worth a try. Ed's Custom Bakery (Conway). Though the ownership and management has changed, you'll still find a nice selection of great doughnuts at this Oak Street standard. Want yours topped? 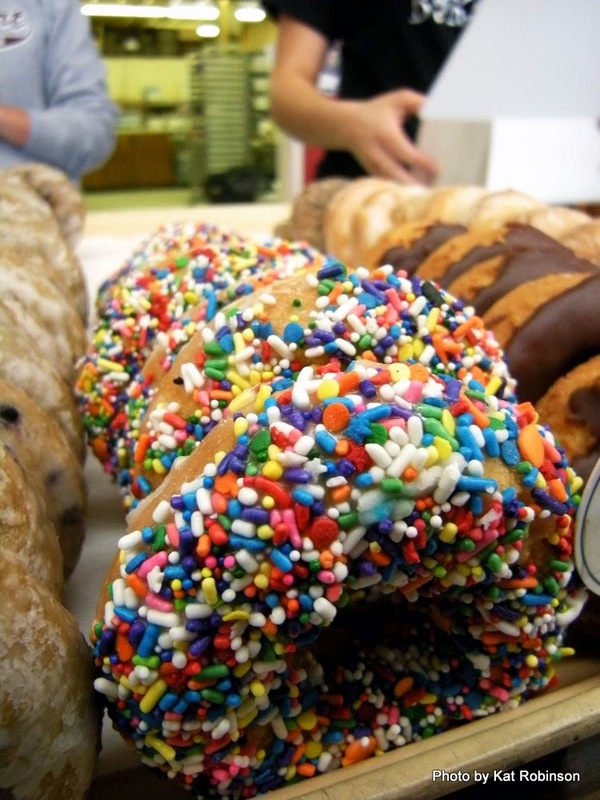 Your glazed or cake doughnut could come with anything from coconut to sprinkles to nuts, easy. Colorful, great for the kids. Howard's Donuts (West Memphis). 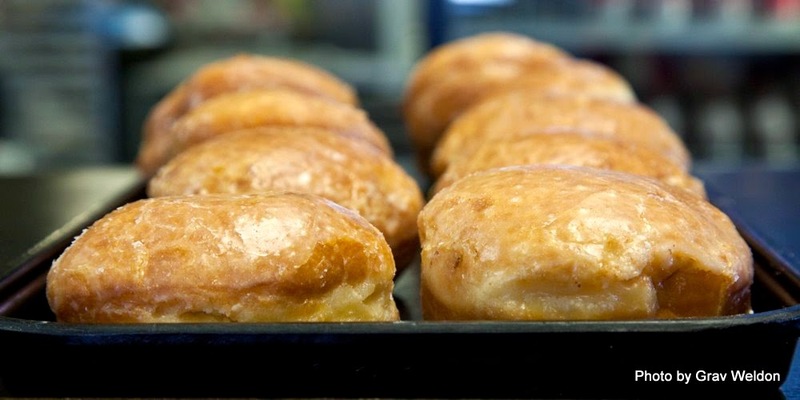 Originally opened as a Harlow's Honey Fluff in 1971, Howard's has set the standard for doughnuts in the Arkansas Delta. Howard's, like many other Delta doughnuteries, puts the fills on the top rather than within, which means yes, you can lick it off first, I won't tell. Little has changed about the Missouri Road store in all the years since. 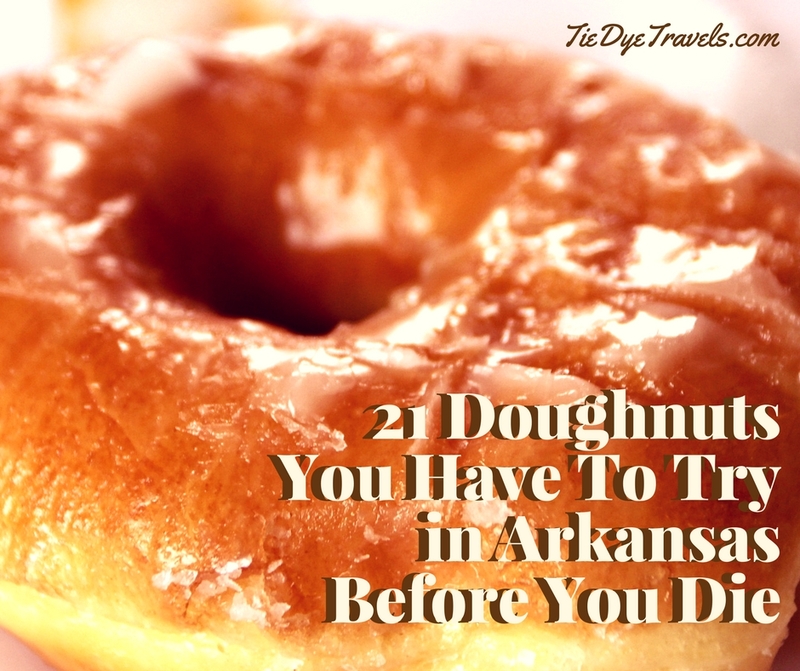 If you get out of there without trying a Red Velvet or German Chocolate doughnut or a Hawaiian Pineapple Fritter, you may have wasted a trip. Irish Maid (Fort Smith). 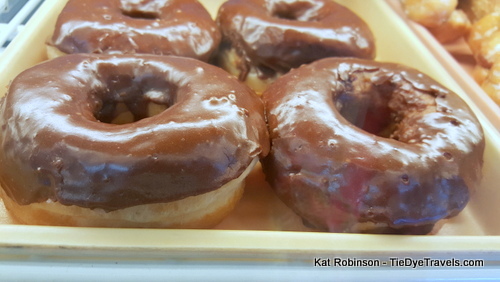 How could two very different cities have happened into a really great doughnut shop? For Irish Maid, it was a family affair. Brothers Frank and Jim Claghorn developed their recipe for the tasty rounds in Little Rock, where they sold them door-to-door in the late 1950s. Frank moved to Fort Smith and set up shop in 1960. It's now owned by the Gills and there are two -- one on Towson (across the street from its original location) and the other on Rogers. Irish Maid (Pine Bluff). 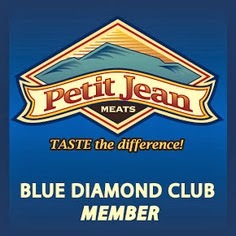 Frank's brother Jim left out of Little Rock to open a Pine Bluff location of the family chain in 1961. The Pine Bluff store is run by the Grinsteads. Jeri-Lin Donuts (Blytheville). Originally opened in 1969 by Jerry and Linda Musser, this community favorite recently relocated from its original former grocery store location to now inhabit what was once a bowling alley. Known for doughnuts with filling on top, for great cinnamon rolls and for the Smush -- a caramel doughnut smushed atop a cinnamon roll. Julie's Sweet Shoppe and Bakery (Conway). Longtime Ed's Bakery chef Julie Goodnight left the older joint in Conway to start up her own place. Her 27 years of experience are evident in finely crafted doughnuts, fried pies and a variety of kolaches as well as marvelous cakes. Lybrand's Bakery (Pine Bluff). First established in 1946 by Curtis and Emma Jean Lybrand on Main Street in downtown Pine Bluff, this local favorite has continued to grow. 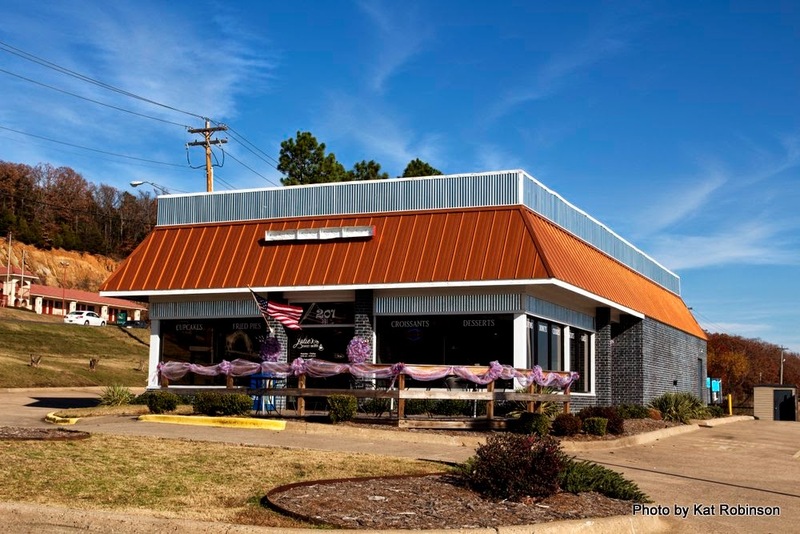 Still family owned, you'll find two locations -- one in Pine Bluff and one in White Hall. The doughnuts are great -- but try one of the twists. They're the perfect coffee pastry. Magnolia Bake Shop (Magnolia). 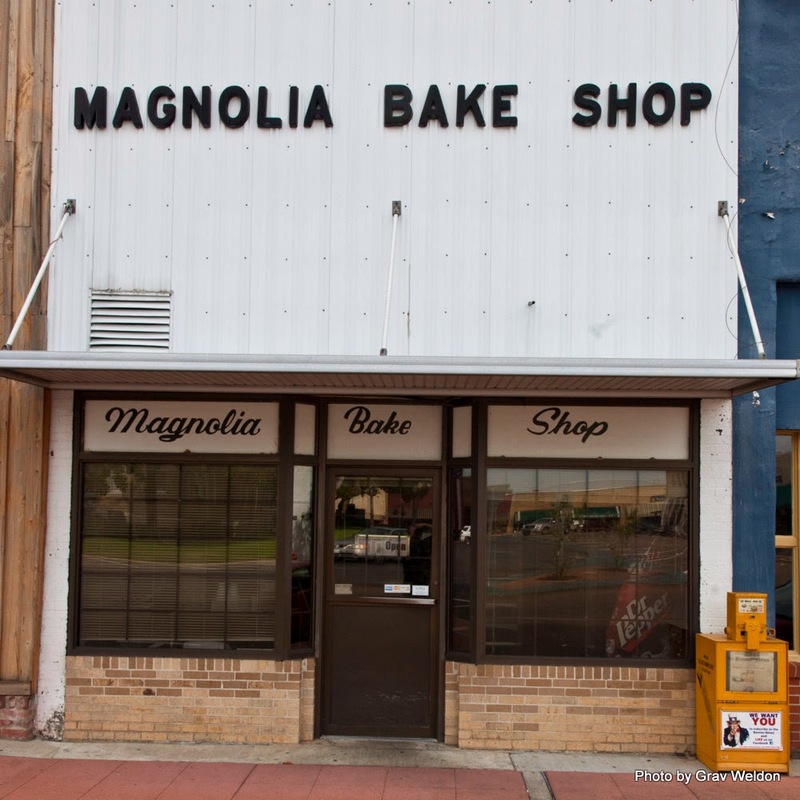 The oldest continuously operating bakery in the state still sits on the downtown square in Magnolia. Now in its third family generation, the shop that's been open since 1928 is best known for its amazing cakes, but it also puts out a grand doughnut. Mark's Do-Nut Shop (North Little Rock). Not so glamorous but awfully good, Mark's puts out a consistent product that sometimes sells out before the official closing hour. Go for coconut and angel cream if you like the sweet, or stick with a fruit pastry if you're not. But watch out -- this place is often packed. 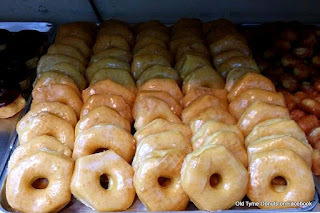 Old Tyme Donuts (Springdale). Of all the doughnut shops out there in Arkansas, this is the one that comes closest to my former favorite, the now passed Paradise Donut Shop in Russellville. Good, steady favorites, hot glazed cooked in smaller batches so you're almost guaranteed to still have a warm one fresh from the fryer, and amazingly flavorful apple fritters. PattiCakes (Conway). The bakery spawned from Stoby's specializes in cakes and baked goods featured in the restaurant -- but the cake doughnuts are absolutely divine. Go for the seasonal choices -- pumpkin, carrot, red velvet -- whatever's offered. It's hard to find a doughnut you won't like here. Paul's Bakery (Van Buren). 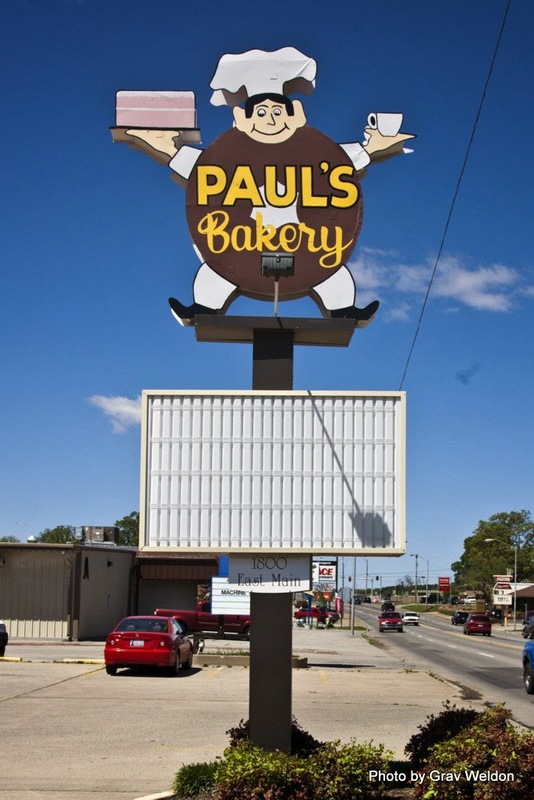 Paul Lehnen purchased the old Mace's Bakery back in 1959 and built a tradition for Van Buren residents. 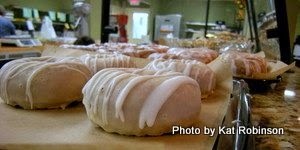 Though Mr. Lehnen passed away two years ago, the bakery lives on, still selling fresh, moist, fall-apart doughnuts and remarkable buttercream-maple topped bars. Rick's Bakery (Fayetteville). It might not take a NASA engineer to create good pastries, but it doesn't hurt. Rick Boone's marvelous bakery full of beautiful cakes and eye-popping cookies also does doughnuts, eclairs and twists. My favorite? Big orange cinnamon muffin rolls. They're a true guilty pleasure. Spudnut Shop and Deli (Magnolia). When the Spudnut chain abruptly folded in 1979, some of the potato-flour doughnut franchisees kept on going. The Magnolia location, opened in 1959, has continued to serve patrons. Despite the death of longtime owner Martha Maloch in December 2013, the family has regrouped and recently reopended the landmark. Try a peanut butter and jelly doughnut for a change of pace -- or a maple bacon number! And stick around for croissants, sandwiches and more at lunch. Spudnut Shoppe (El Dorado). Opened in 1949, this Spudnut operation also survived the closing of the chain in 1979. 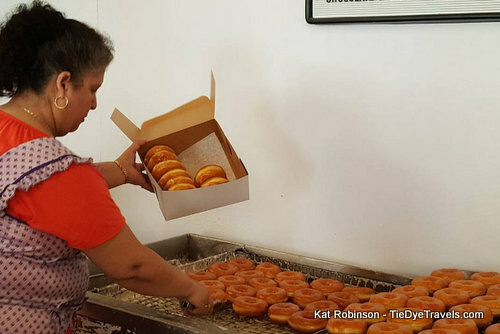 A longtime institution for the city of El Dorado, hot potato-flour doughnuts still come rolling out -- but go early, sell-outs are common. Srowns's Donut Shop (Bryant). An addition to the list, mostly for being overlooked the last time. 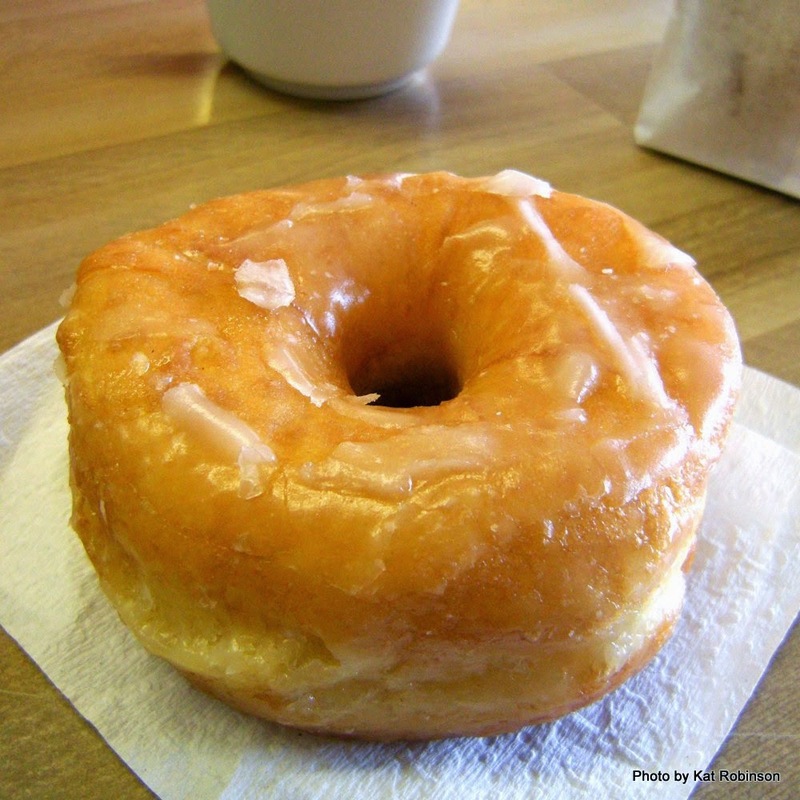 The Srown's (Danny and Freida) had retired a while back and sold off the place, which became Morning Glory Donuts. But they got bored and got the shop back. If nothing else, you should go to Strawn's for blueberry cake doughnuts. And apple fritters. And... well, you'll find out. You profess that Howard's Donuts in West Memphis is better than Gibson's Donuts in Memphis? Mark my words: I will verify this rash assertion at the earliest opportunity. 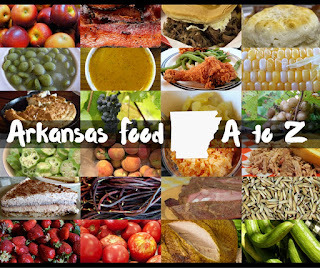 Best in " Arkansas "
I apparently am more aware of the subject of this article than you are of the content of the review. 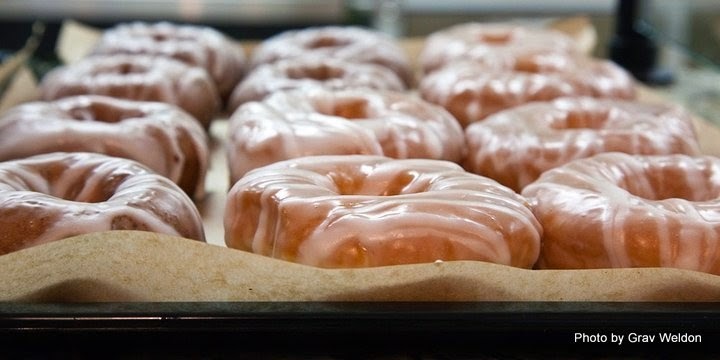 The review says, "Howard's has set the standard for doughnuts not just in West Memphis but across the river in Memphis as well." That is clearly a claim that Howard's is better than Gibson's. I am not suggesting that Howard's is not, in fact, better than Gibson's; I am saying that Howard's will have to be damned good to be better than Gibson's, and I can't wait to find out. 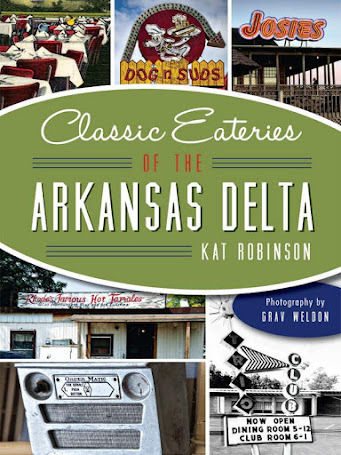 Days in the Arkansas Delta, it doesn't state anywhere else, not does it imply. I read it more than once trying to see any implication other then Arkansas, yet fail to find it. The review apparently has been edited since I commented. It originally contained the bit I quoted. If its not a Magnolia Spudnut it doesn't count...always the best! and I'd forgotten about Dale's in Benton! Friday ritual back in the late 80s/early 90s when I lived there! Jeri-Lin will always be at the top of my list! Spudnuts are Great... Magnolia bake shop has great coooooookies. We was going to have a straight up problem if Spudnut wasn't on there. It had. And then it closed again. And now Spudnuts Bakery and Deli is set to open shortly. It's a saga. Yum, yum, yum. 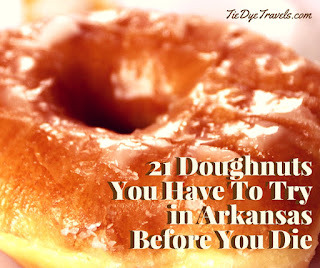 I now feel the urge to eat my way across the doughnut shops of Arkansas -- that's ok, right? Thanks for the mention! My grandfather Dale started Dale's donuts long ago. My Dad Joel took it over and it will continue in my family for many years to come. If it ain't Dales...it ain't donuts! Yes! Yes! Yes! This is going right to my Pinterest. Yes! You noticed Old Tyme Donuts' fritters! When we first moved to the area (Springdale, AR), everyone at my husband's workplace said we had to start getting our donuts at Old Tyme and they were right. Their fritters are the awesome (and, in addition to apple, the strawberry, peach and blueberries fritters are amazing as well). But get there before 9:30am as their fritters usually sell out. 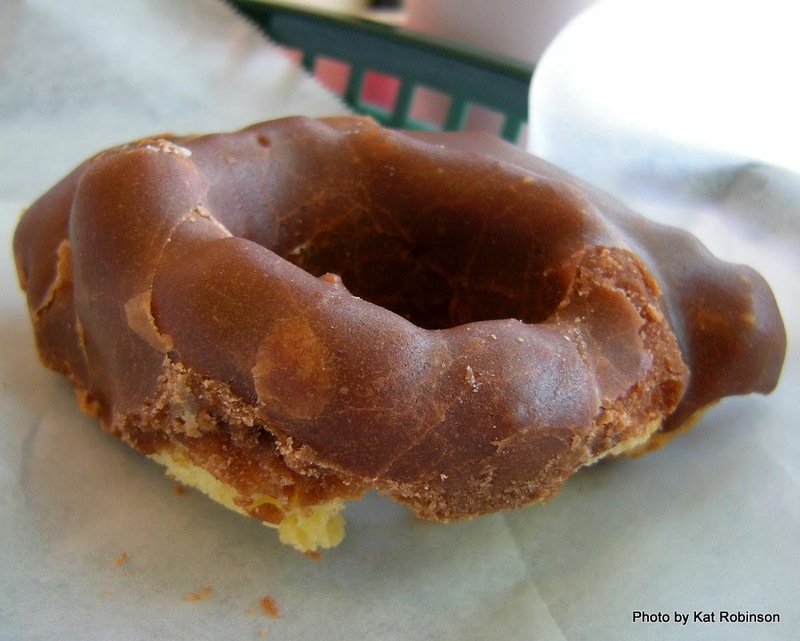 I grew up in El Dorado, and it's hard to beat a hot, plain Spudnut. I've never had one quite as good. But I look forward to trying thanks to this list! The Spudnut is not in Magnolia, it's in El Dorado. There are locations in both cities. I'm sorry but there is no other donut than Irish Maid. LOVE that place!!!! I remember going to Spudnuts in Carthage, MO on the way to Grandma's house in Berryville! I wondered what happened to them. There is a new shop in Fort Smith called Super Donuts , but I've yet to try them. They didn't last 6 months. Jimmy's in Malvern sells chicken and donuts because of construction. The owner of the Donut Hole had worked for KFC in the past. He decided to open a chicken place around the corner. He built a new building and opened up Jimmy's. Shortly after, the owners of the building that housed the Donut Hole needed to make some extensive repairs and needed him to move while they did the work. He consolidated his operation at Jimmy's and never looked back. Both Old Tymes in Bentonville closed in November of this year, per their Facebook page. When I was a kid, Battens was right on the highway in town - you'd park in the back and walk along a glass wall thru the kitchen where you could see (and smell!) the doughnuts still on the poles frying. OMG. Everyone with any sense would wait at the front counter for the fresh batch, hot fluffy and delicious. Hands down the best doughnuts anywhere, including beignets at Café DuMond and malasadas at Leonard's. So glad you put Mark's Do Nut Shop on here! I have been telling people for years that Mark has the best donuts in NLR and although a lot people in NLR and LR like Krispy Kremes, I think they are horrible! 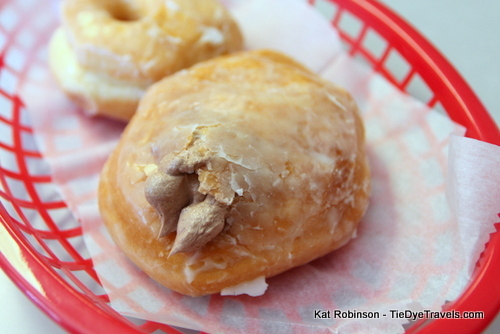 Mark's Do Nuts wins hands down in North Little Rock. Community Bakery is good, too. It wins my vote for Little Rock. I just don't know how Krispy Kremes(not sure of spelling) has stayed in business this long. That is as kind as I can be. Sorry Krispy Kremes. There is no better-tasting junk food-I mean donut- (actually, I do mean junk food) than a fresh, warm, Krispy Kreme donut. If the Krispy Kreme in NWA was next door to a Starbucks, I would already be dead from hardening-of-the-arteries, my Lipitor notwithstanding!